Maybe your budget is tight, or you’ve never had problems in the past, or you just feel like nothing could possibly go wrong. But deciding between getting security assistance and forgoing security assistance should be an easy choice. It’s that time of year. Maybe you’re a retailer with a Black Friday crowd, or the annual “big sale” that has people flocking to your doors. 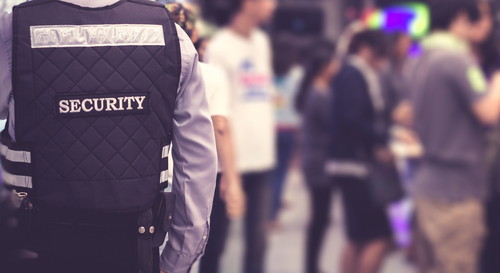 Even if you don’t employ a Korner Security detail any other time of year, now is the time to consider it. With larger numbers of patrons come bigger opportunities for security issues, violence, theft, injury, and other problems. A security presence helps prevent complications before they even start. Everyone is distracted. Perhaps your facility hosts a company-wide gathering or special event once or twice a year. You should be able to trust all your employees, but that doesn’t mean trouble won’t occur. Even if everyone present behaves themselves, there is still room for outside threats who know the people on the premises are busy, distracted, and operating outside of their normal, predictable schedules. Short-term uniformed security guards keep an eye on everything when you’re otherwise occupied. VIPs are present. Everyone deserves the same kind of treatment and security, but there are times when high-profile individuals require a little extra looking after. When a prominent member of society is under your watch, even if they arrive with their own security detail, it’s insurance for you and security for them to have surveillance experts present and on the clock. People need reassurance. We live in a volatile society. When a school shooting occurs or police brutality makes the news, people are scared for themselves and their family. This unsteady environment means additional reinforcement is necessary to ease minds and make people feel safer. Tragedies like these often find the owners of businesses, facilities, or residential or commercial properties beefing up security measures permanently, not just temporarily. Every Korner Security guard detail is customized to the client so your exact needs are served. Do you require one guard and a monitored surveillance system? Do you need round-the-clock security or only during certain times of the day or week? At Korner Security, we provide personalized security solutions to suit your unique situation. Contact our experts to discuss your short-term or long-term security needs.